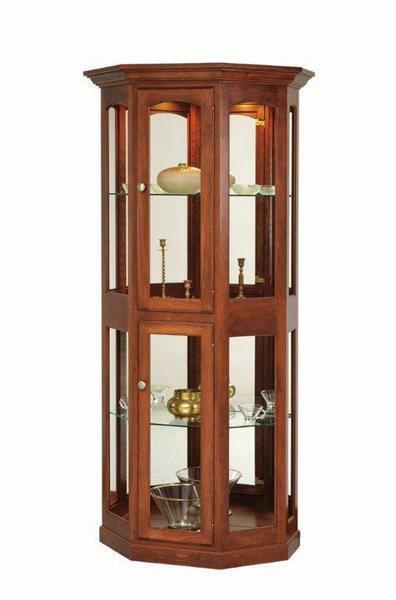 Our Amish Display Case Curio Cabinet measures over 73" high and 34" Wide. Choose to order this in oak, cherry or brown maple with a variety of finish options. If you would like to order it as shown in the photo then select Cherry Wood with OCS-107 Washington Cherry Stain. This curio cabinet is handcrafted after you order by an Old Order Amish woodworker in Pennsylvania so please allow six to eight weeks for it to be built plus two weeks for shipping.